Illy is an Italian coffee roasting company that specializes in the production and distribution of espresso worldwide. The company was founded by Francesco Illy in 1933 and was later led and expanded by his son Ernesto Illy. Over the years, Illy has amassed a fabulous art collection, much of it commissioned by the coffee maker to share with its clientele. 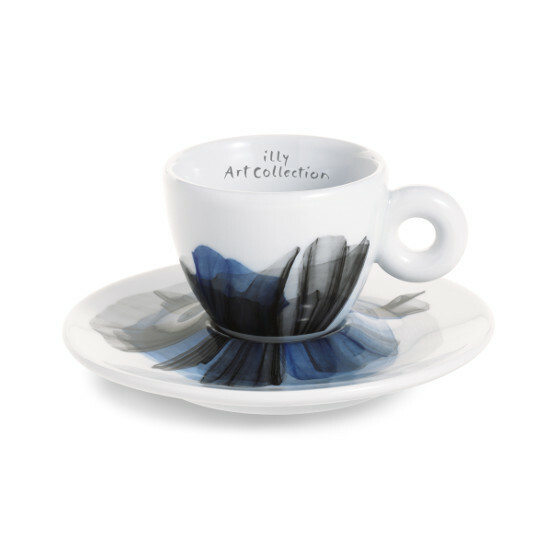 In the latest illy art collection, artist, architect and industrial designer Ron Arad plays with the idea of ordinary objects we find around a cup of coffee. He elegantly transforms the memory of a cloth napkin into the sinuous lightness of silk; a tablecloth is transformed into an imaginary silk drape, light and sinuous, placed randomly on the cup and saucer. The result of this Israeli-born creative is a design on cup and saucer that is both abstract and realistic, and functional yet ornamental. It makes the pleasure of drinking coffee – an artistic ritual in our everyday lives. As an architect, Ron Arad created the Design Museum Holon, the first museum in Israel dedicated to Design. 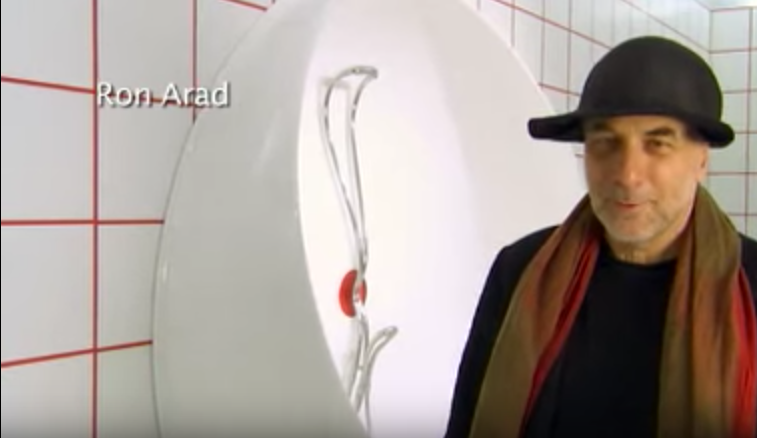 Arad worked with Asa Bruno, a director/colleague in Arad’s firm on the project. Ron Arad has designed a bath for Italian manufacturers Teuco, which can rotate to become a shower. It can transform from bathtub to shower in just one quick rotation on the wall. When the fatter end of the unit is at the bottom, a person can step inside and sit as if they were in a tub. Should the occupant want to take a shower, all he/she has to do is turn the unit "upside-down" and new water (not the water that you bathed in) comes flowing down from the water outlet.